The American Transportation Research Institute (ATRI) is working to identify the next generation of safe, commercial drivers using data on seasoned professionals. ATRI, in phase one of its research, has identified the characteristics of safe, older commercial drivers in hopes of developing a Younger Driver Assessment Tool. The study uses existing scientific literature that compares character traits against associated safety outcomes. It also summarizes psychology literature on early adulthood. Specifically, it examines the group’s characteristics in relation to safe driving behaviors. The research was conducted in conjunction with Dr. Monica Luciana, Professor of Psychology at the University of Minnesota. Personality, health, and cognition have been identified in the report as predictors of safe driving. A beta test of the Assessment Tool is the next research step, using relevant measures of the predictive factors. A small sample of both experienced and entry-level drivers will participate in the beta test. Depending on the outcome, ATRI may pursue a larger sampling for its test of the Assessment Tool. 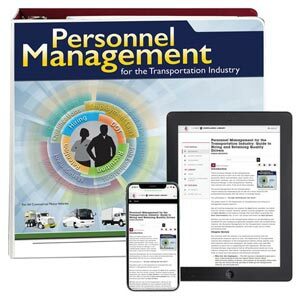 J. J. Keller's Personnel Management for the Transportation Industry provides transportation professionals with the information necessary for effective people/driver management. J. J. Keller's FREE Transportation SafetyClicks™ email newsletter brings quick-read safety and compliance news right to your email box. Sign up to receive Transportation SafetyClicks™.